With Valentines approaching it's been a full on sop feat here. 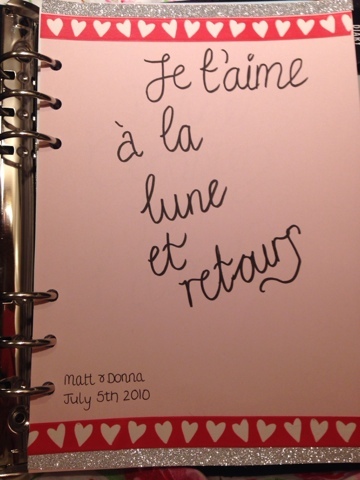 With that in mind I couldn't resist a more personal dashboard for my valentine inspired planner. Whilst it's not my greatest creation, I still love it because it's personal. I used glittery tape and heart tape, both from Paperchase alongside pastel paper. My work with the brush pen needs a bit more practice, but this is little quote means something special to us. To really make this dash personal I added our anniversary to the corner. As this is the first thing you see when you open your planner, it makes me so happy to have this somewhere that matters.